Click the button below to add the Sunless Tanning - Dark Tones #Lotions# to your wish list. At Last! A sunless tanner for that dark natural color you deserve. Plus, it’s formulated with Natural ingredients unheard of in other sunless tanners like the super fruit Sea Buckthorn. Moisturizers like Sweet Almond, Grape Seed, Cherry, Apricot, Macadamia, Sunflower and so much more! These natural ingredients help provide wonderful looking and feeling hydrated skin. Stretch marks, cellulite and other imperfections can appear diminished as a gradual flawless, natural looking dark tan color develops after each use. I've tried a lot of self tanners, but this one has to be the best. I have dry skin, so when I use other self tanners, my skin gets really dry. This one is more like a moisturizing tanner. It makes your skin soft and moisturized. It is a white lotion, so it doesn't have the tanning guide. I like to use my hands to put it on, just like a regular lotion. Then I wash them using a pumice stone and it comes right off. Even though it doesn't have the tanning guide, your hands will get a little darker by the time you're done using it. I highly recommend this product. I absolutely love this product !! It works better than anything I have ever used. I really hope this product doesn't go away. I have ordered 3 bottles so far just to make sure I don't run out. 1 bottle does Last a long time also I just wanted to get extras to make sure I had it for later. I would recommend this product to anyone. Keeps your skin even toned and radiant without the assistance of a tanning bed or the sun. 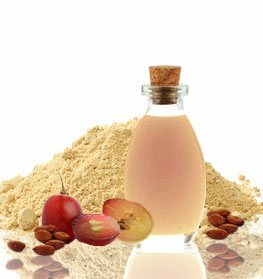 Sweet Almond Oil rids the skin of impurities and smooths it. Coconut Oil is an excellent moisturizer and has an antibacterial shield that protects the skin from irritation and inflammation. Grapeseed Oil has moisturizing properties and helps tighten skin. 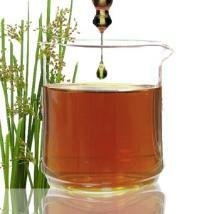 Rice Bran Oil contains squalene that boosts the skin's health and protects it from damage. For best results, cleanse and exfoliate skin and apply the Sunless tanner on dry skin. To maintain or deepen your desired shade of tan, reapply 1-2 times a week or continue to use once a day until you have reached your desired level of tan and maintain as needed. This product is by far the best sunless tanning product that I have ever used, even expensive name brands that you pay an arm and a leg for. It gives you a natural tan, to a dark tan depending on how you like, its gentle on my skin and conditions and helps with dry skin!! Will definitely use again as well as the other products they have to offer!! I truly love this tanner. I am on tan side but when I want to look tanned and beautiful, I apply this product. I look like a gold princess/goddess when I am tan. Consider this product when you want to look radiant. I try to stay away from a tanning bed or the sun due to their damaging effects.This lotion is great as it is easier and cheaper than going to a salon. It produces a very nice natural bronze color and smells like lemons and oranges.I tried this tanner and it darkens my skin a lot quicker. This usually happens while I sleep or doing any errands. I really do love the natural ingredients and how much softer this make my skin compared to other tanners. I have been using this JN Self-Tanner for Dark Tones for a couple of weeks and it is the best tanner I have ever tried.It is very effective. You get an attractive natural looking tan that lasts for days. I reapply this product every two to three days to maintain the color. It is great for sensitive skin and does not break me out. I suggest following the directions and apply the lotion to your rougher areas like your knees, elbows, wrist and ankle for smooth even results. I have olive tone skin but my legs have a difficult time getting tan. This lotion has become the only product I self-tan with. It gives me the most natural tan and if I want a lighter color I can just mix it with my regular body moisturizer. I saw that my tan developed within 6 hours( the usual work day for me).The texture is very light but not runny and has a nice lemon citrus scent. I share this product with my twin and she loves it as well. I can't wait to order more! So in love with my skin just few days after ... I'm so happy thank u!! Best bronzer yet. Loving Just Nutritive! I am a very fair complexion blonde. I burn easily. Using this has given me a healthy sun-kissed look without having to burn my skin out in the sun. I love it. Love this sunless tanning lotion! This product is amazing! No streaks and no orange color. Just a great tan, without the rays! I've tried MANY SUNLESS TANNING LOTIONS & this really works!!!! Within about 6hrs your starting to tan. Spread evenly & WEAR GLOVES!!!! So easily done & the results are excellent & phenomenal. About every 2-3 days I exfoliate & reapply. During those 2-3 days you can apply more each day for darker results. You'll be so very happy & pleased. purchased first light to medium tones then wanted a bolder darker so ordered the dark! Used a couple times, people notice.... I highly have and will recommend this product!!!!!!! First off the results are amazing. I'm not orange or any shade of orange. I have gotten several compliments and everything thinks I've been out in the sun all weekend! It goes on pretty easy, you do have to be sure you are cooled down after your shower. It is a heavier lotion and after applying I tend to get warmer so I generally stand in front of a fan. My skin feels so soft. The results are worth it!! Great product. This product goes on smoothly. The color does not come off when you take a shower or on your clothes. You tan quickly. I give this a thumbs up.